First, the only thing that photo radar or photo red light systems have in common with radar speed signs is they are used to help make our roads safer for motorists and pedestrians. Photo systems typically uses in-road sensors that are placed a distance apart in order to do a time and distance calculation snapshot and/or Lidar (laser radar) to give an accurate calculation of speed at that point. These systems do that very well, but this doesn’t do anything to affect to change driving behavior until the driver receives a ticket or observes that photo-recording equipment is photographing drivers in the area. Radar speed signs are intended to give the approaching vehicles a “heads up” of what their present speed is well in advance of the intersection, work area, playground, or school zone, etc. they are approaching. 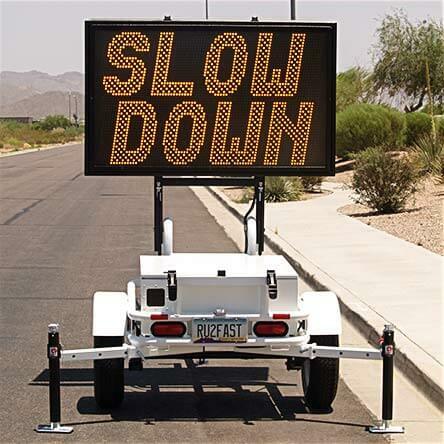 Speed signs are meant to bring the driver “into the moment” and are not punitive in any way. They are in no way ‘connected’ to camera systems. Typically the displayed information is derived from a K-band Doppler radar unit. These speed radar units are not dissimilar, if not exactly the same units and technology that your local police officers use to determine your speed when they are monitoring traffic. This is not your grandfather’s radar gun. With new planer array technology and fast processors they are extremely accurate and not subject to ‘drift’ the older matched diode technology of the past suffered. Fourteen years ago radar units were developed to measure the surface speed of flowing streams and rivers and, technology has increased tenfold since then. Gauging how fast a car is traveling is not a stretch. There are, however some challenges to overcome with a fixed mounted speed detector radar unit of this kind when multi-lanes are involved. The radar units that RU2 Systems uses broadcasts a 12 degree included angle conical projection (think “ice cream cone”) and as far as 1 mile from its point of origin. It is capable of traffic data collection on up to 8 targets at 10 times a second, coming or going, in order of signal strength within an “advertised” 1 mile per hour accuracy. It is capable of and, we do employ it, in tenths of a mile per hour applications. The challenge is to take this information and filter it into something that makes sense and has validity to oncoming drivers. 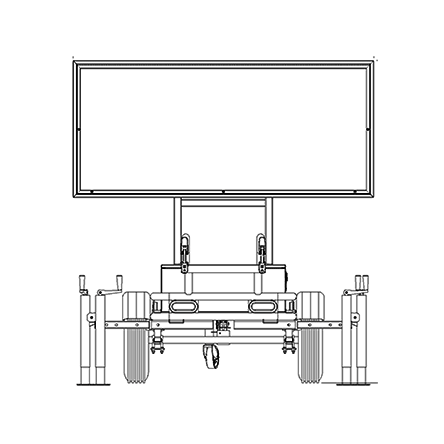 RU2 Systems has developed proprietary traffic data collection algorithms to make the information that a driver sees on our displays make the most “sense” and the best feedback information possible. In short, we take 4,800 pieces of data per minute, filter it and present valid and comprehensible speed information. So, where can the “disconnect” in the driver experience come from? Plenty of places. First, just like everyone in jail, we are all innocent; just ask us! Second, despite common belief, the data the driver has is not all that accurate to start with. Error within the speedometer device is compounded with worn or miss sized tires, under or over inflation, heat and cold. My former car, a ‘superior specimen of German engineering’, was off 4 MPH at anything over 40! And third, and the worst is, we weren’t addressing “You”. 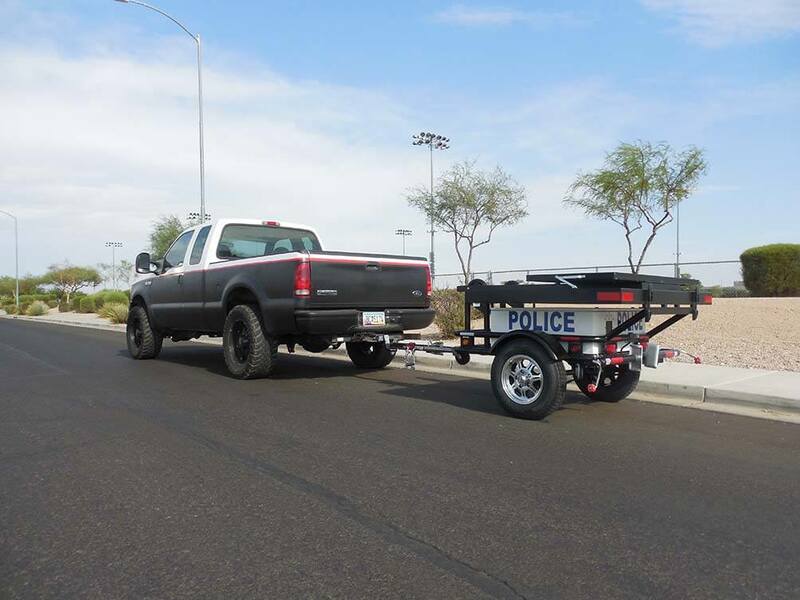 Despite our best efforts the radar device will fixate on the largest, fastest target and that may very well be the “Big Brown Truck” overtaking you in the center lane but, still 200 yards behind you. The smaller your “ride” the more likely this will happen. 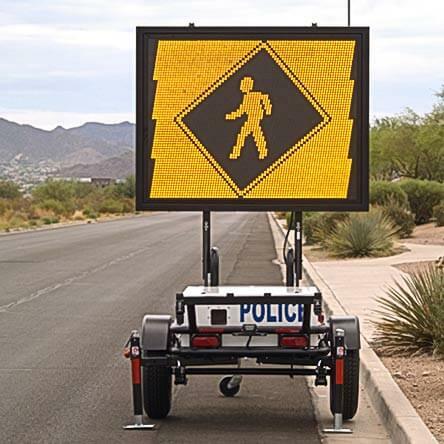 Whatever the short falls of the technology may be, there are numerous independent studies that quantify and support the effectiveness of Radar Speed Signs on both a short term and on-going basis.